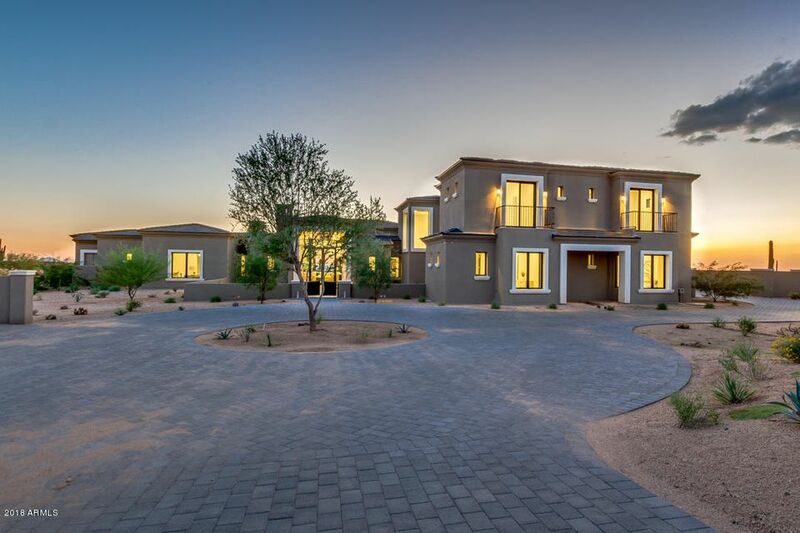 All PRADO ESTATES homes currently listed for sale in Scottsdale as of 04/24/2019 are shown below. You can change the search criteria at any time by pressing the 'Change Search' button below. 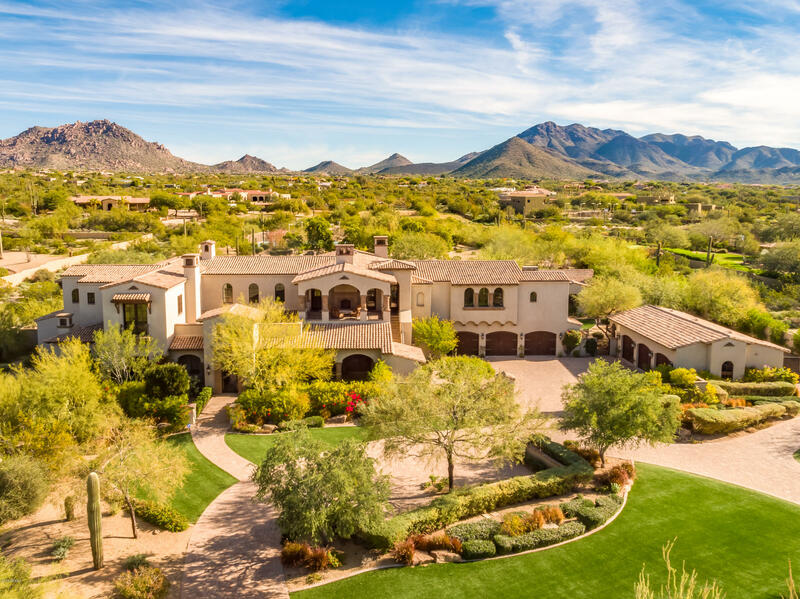 "Surrounded by majestic views of the McDowell Mountains, Pinnacle Peak, city lights and magnificent Arizona sunsets, this stunning Calvis Wyant built North Scottsdale estate brings together the perfect balance of warmth and grandeur. Located in the private Prado community between DC Ranch and Pinnacle Peak Rd, you are just steps away from chic restaurants, casual cafes and shopping while still being able to escape to your very own private resort-style sanctuary retreat. A Spanish Mediterranean ma"
"Considered the best lot in remarkable Prado Estates, with dazzling views of both the mountains and city lights. A distinctive home (10,200+ livable sq.ft.) with the convenience of being minutes from North Scottsdale's finest restaurants and shopping promenades and yet located on a private 4.7 acre oasis at the end of a secluded cul-de-sac. A serene courtyard entry leads to a home of charming elegance. The over-large gourmet kitchen boasts two islands and a butler's pantry. The master suite flaun"
"Prado Estates brand new custom estate built by acclaimed luxury home builder Tom Argue. This home has all the elements of transitional living space and contemporary style! Free flowing and fun space in this 7500 square foot residence that lives on the main level! Retractable floor to ceiling doors provides views of Camelback, sunsets, and city lights! Five en-suite bedrooms, home theatre, bar, amazing exercise room with outdoor yoga patio. Top of the line appliances, custom cabinetry, and elegan"